Unfortunately, it's not uncommon for people to break their Android phones all of the time. Even though the owner may protect their devices by carrying them in their phone cases, breaking any android phone can still occur. Screen on the phone is broken because the user drops it on the ground on a hard concrete floor. Once the phone is broken, it may also cause the text messages and other data on the phone to be lost because the user cannot get access to the messages again, unless some extra processes or software is used to complete this kind of restoration process. Today, we will show you how to recover text messages from a broken Android phone by using an efficient broken Android SMS recovery program. This program is a tool which is different from the common Android data recovery software on the market. 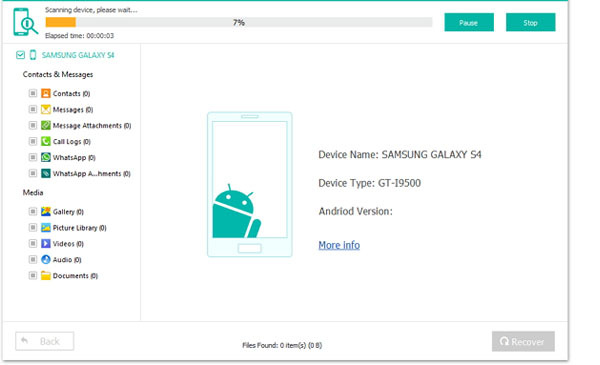 It is specially designed for users to retrieve data from broken or damaged Android devices. 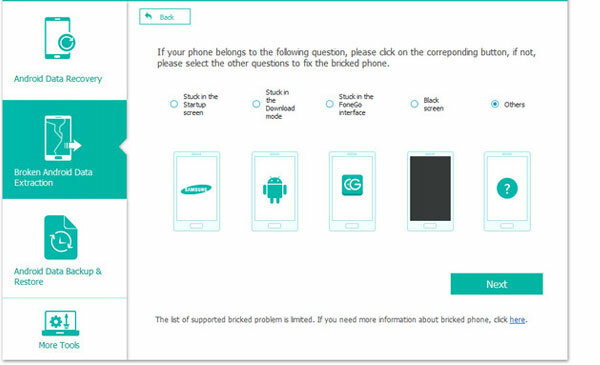 And the tool that we recommended here is not only allows you to extract data from a broken Android due to screen crashed or locaked, but also helps you to fix your broken Android to normal status due to system issues, such as system crashed, bricked, and so on. After owning this program, you'll never lose any crucial text messages or other data on the broken Android phone. Now, just click the below icon to get this powerful tool and keep on reading to see how it works. How to Restore Text Messages from Broken Android Phones? 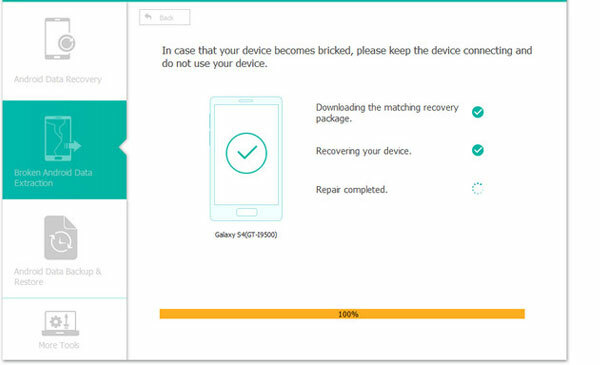 You will need to download the Broken Android Data Recovery on their personal computer or their desktop computer so that it can be used to initiate the process. Once downloaded, install and launch the application on your computers based on the instructions provided by the program itself. 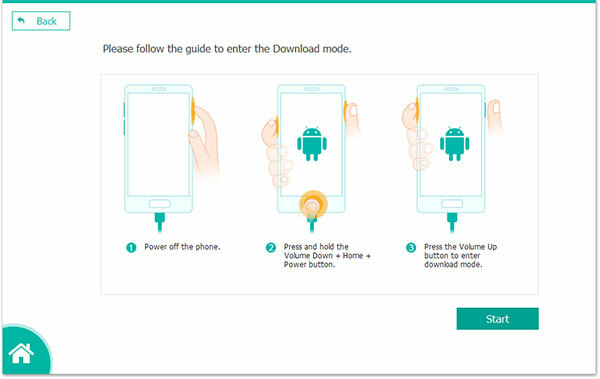 Then connect your broken Android phone to computer and choose "Broken Android Data Extraction" mode. You may have found that there are two options on the above screen: Start and Fix Device. You need to select one of them to proceed. 1) If your the screen is damaged or locked and you can't enter or unlock the device, you can click "Start" button to enter the download mode. 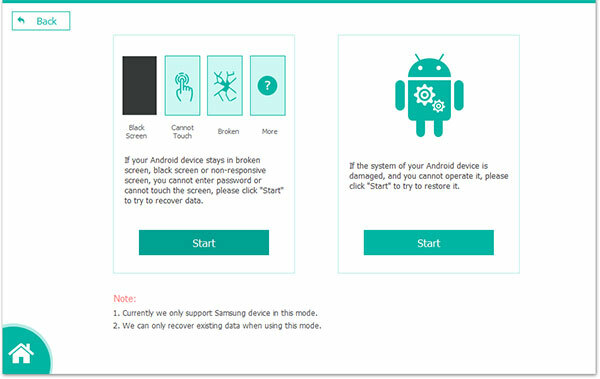 2) If your Android is broken due to briked, crashed, virus attacked, etc., you can choose "Fix Device" option to get your device back to normal at first. 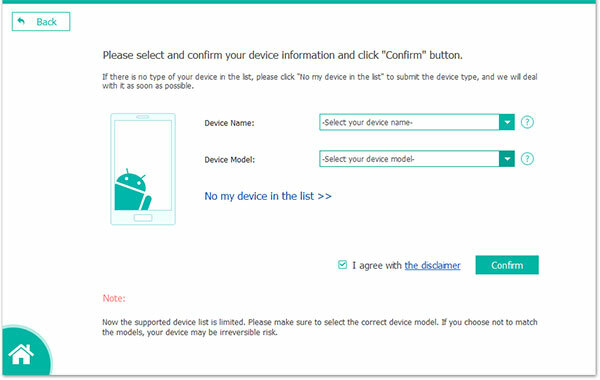 When you have selected "Start" option in the above steps, here you'll be required to choose your phone name and model to confirm whether your broken Android device is supported by the program. If your device is supported, you need to follow the onscreen guide to enter the Download mode, and click "Start" to wait for the end of the process. Now, the data on your broken phone have been found and displayed in the program as below. Just select "Messages" and tick the data you wish to restore, and then hit "Recover" button to save them on your desktop computer. In this situation, you'll get an interface like below. Here, you need to choose the issue that you wish to fix. After that, just click "Next" to enter the Download mode. Then you can tap on "Start" button to begin the fixing process. When your phone return to normal, you can use the Android Data Recovery software to get back the deleted data.